Temperature Station Atomic Projection And Moon Phase Clock | BUDK.com - Knives & Swords At The Lowest Prices! 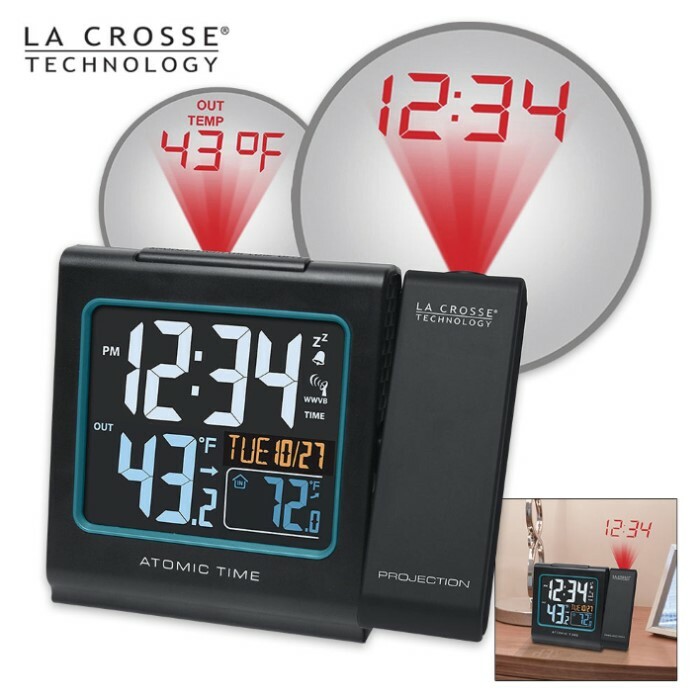 The Temperature Station Atomic Projection and Moon Phase clock conveniently projects an accurate, self-set atomic time to your time zone, on the ceiling or a wall. The projection will rotate in 90 degree increments and you can toggle between time and temp, time only or temperature only. 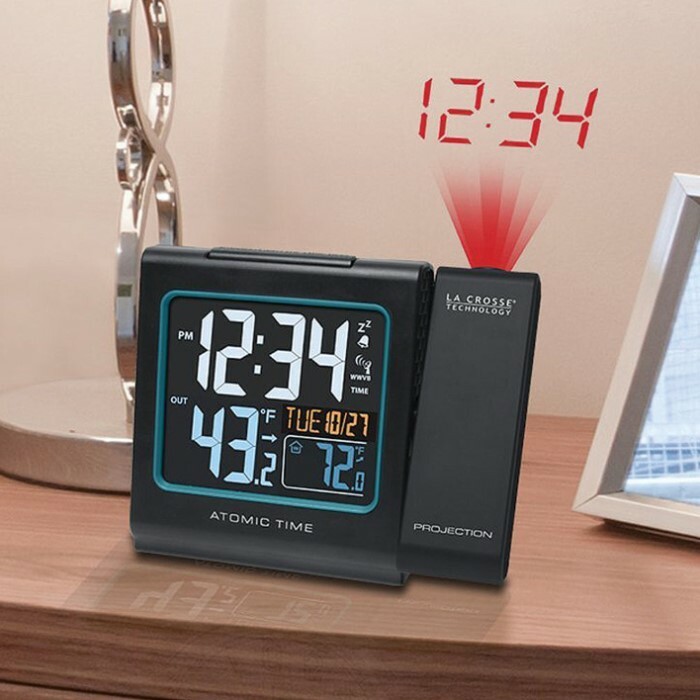 Once you sit it on a desktop or tabletop, use the projection mode with a press of a button, using battery power or continuous light with the included 5.0V AC adapter, which has an on/off option. 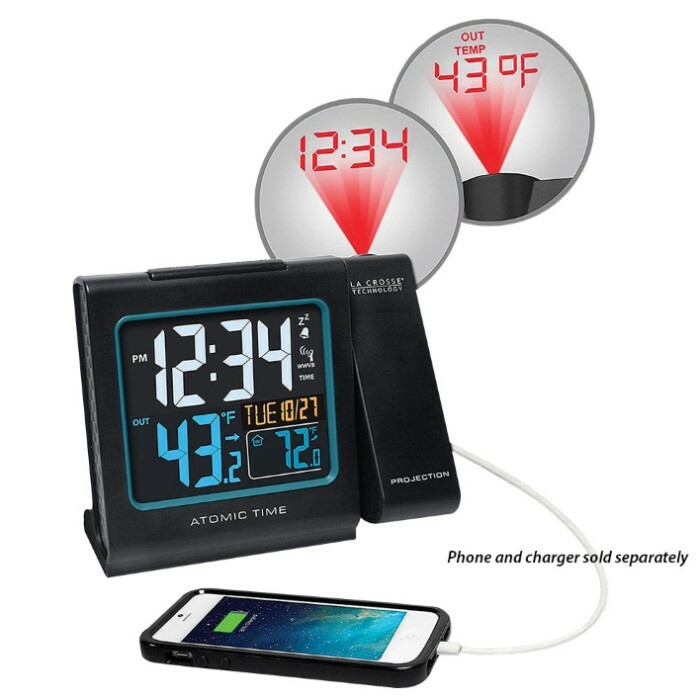 It has a light up color display EL backlight that can be switched between high, low and off. It also has a USB charging port for convenient charging of mobile devices. The battery life is over 24 months when using the AC adapter.